The FDA has approved the first non-opioid drug, Lucemyra (lofexidine hydrochloride), to curb opioid withdrawal symptoms in adults. The oral drug is only approved for treatment of up to 14 days, and it may not completely eliminate withdrawal symptoms. The pill may help ease withdrawal symptoms such as anxiety, sleep problems, muscle aches, sweating, nausea, vomiting, diarrhea and drug craving. 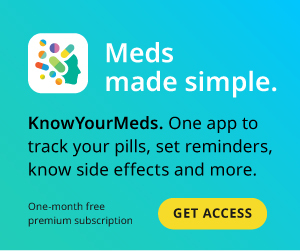 The FDA indicated that Lucemyra is not a treatment for opioid use disorder (OUD), but could be “used as part of a broader, long-term treatment plan for managing OUD.” Some of the noted side effects include low blood pressure, slow heart rate, sleepiness, dizziness and — in a few cases — fainting. The FDA is requiring the drug to undergo further testing in teens and newborns of mothers addicted to opioids, and potentially for longer use in people weaning off opioids. Posted May 16, 2018. Via FDA. The FDA is beginning to explore whether drug companies should list product prices in commercials. At a forum in Washington, FDA Commissioner Scott Gottlieb said that the agency is looking into whether it has “the ability to compel this kind of speech under the current regulations.” The discussion also focused on another important question: Which price should drug companies disclose? Gottlieb acknowledged that the list price may not serve as a good indicator of what a consumer would actually pay at the counter because of rebates, discounts or insurance coverage, which typically reduce the drug’s list price. Gottlieb noted that the agency will explore which price system is best moving forward. Posted May 15, 2018. Via Modern Healthcare. Colorado is looking to curb opioid abuse by limiting prescriptions to a 7-day supply. A new bill in Colorado’s General Assembly would restrict the number of opioid pills a healthcare practitioner — including, but not limited to, physicians, nurses, dentists and veterinarians — may prescribe. The limit is a 7-day supply on an initial prescription, and a refill for a 7-day supply, with some medical exceptions. Also, the 7-day limit is only applicable to the initial prescription for acute pain, not for chronic pain or cancer-related pain. Posted May 16, 2018. Via Colorado Public Radio.